Tres Barrera (Photo: courtesy UT Athletics Photography). 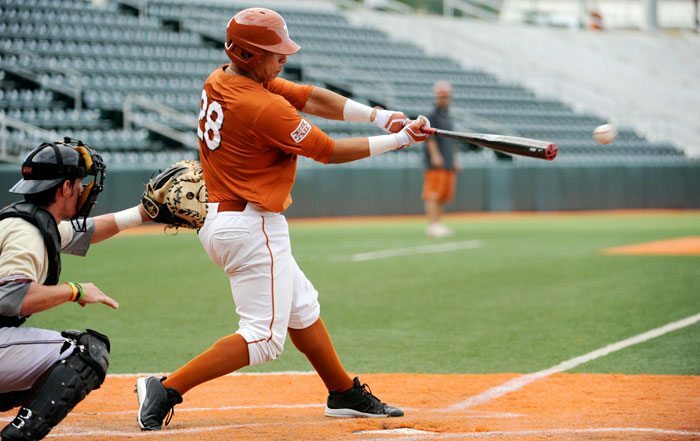 AUSTIN – Tres Barrera had two hits including a long solo homer and reached base for the 17th consecutive game as the 16th-ranked Longhorns struck early and rolled to 7-1 victory over Incarnate Word on Tuesday at UFCU Disch-Falk Field. Ben Johnson, Bret Boswell and Michael Cantu also had two hits apiece as the Longhorns (11-6) won for the third straight outing and remained perfect (3-0) in midweek games this season.